All images include hard or soft materials, flowers or trees etc. 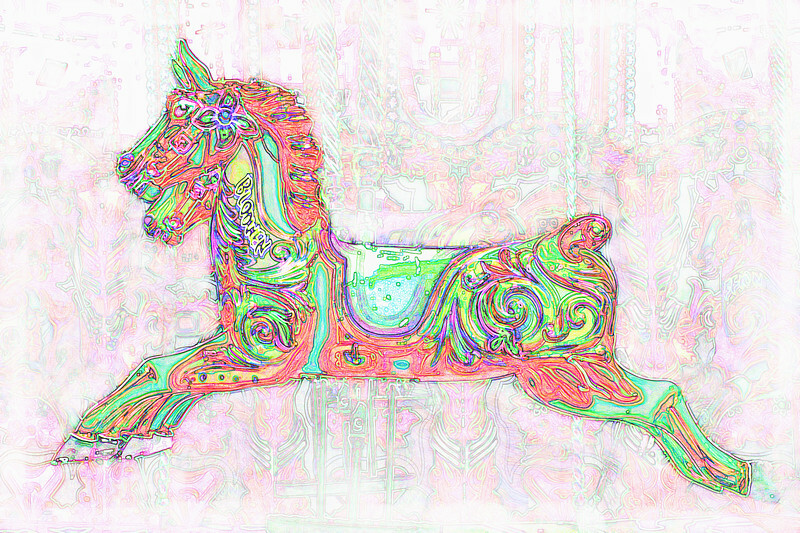 A carousel horse going 'round in a fair-ground. Image processed in Thomas Interarts Studio 9.